I just watched a 25 minute video of Korryn Gaines' traffic stop incident and my heart is broken. My heart is broken for her children, especially for her son. It is broken, because Korryn is a byproduct of the racial tensions in America. I am heart broken because some time after the traffic incident (weeks, months?) 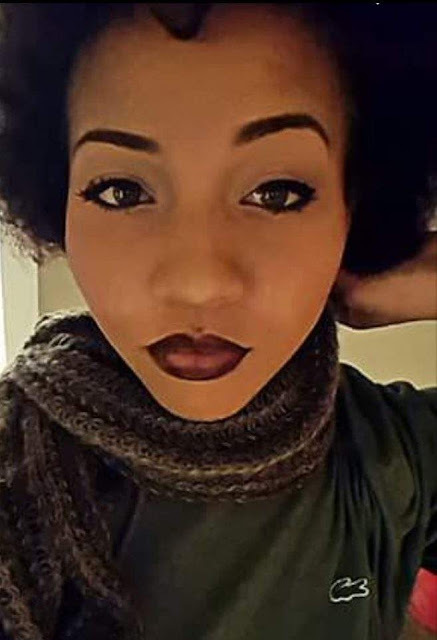 Korryn Gaines lost her life in her apartment and it is upsetting that most of us feel like we will never know the real story about that standoff. Not everyone is equipped to stand up to injustice and racism in a peaceful and LOVE promoting manner. I believe Korryn Gaines just didn't have the right approach in that incident. I would probably perceive both differently if her children were not involved and in the vicinity. I would be more receptive to try and understand her reasoning if children were not in the equation. driven by frustration and anger. I mean, there definitely is A LOT to be angry about in today's racial climate. It is at a peak and everyone seem to have their two cents in the matter. It is very easy to be caught in anger. When you don't feel safe, when you're constantly judged by the way you look. When people that could be your brother, father, uncle, sister, keep getting killed in injustice; When a job interview is decided the minute they realize you're black; when you are more likely to be pulled over and shot because of the colour of your skin, Some people might be caught in a place where they feel like they have nothing more to lose. Like they say, the most dangerous man/woman in the room is the one who has nothing to lose. 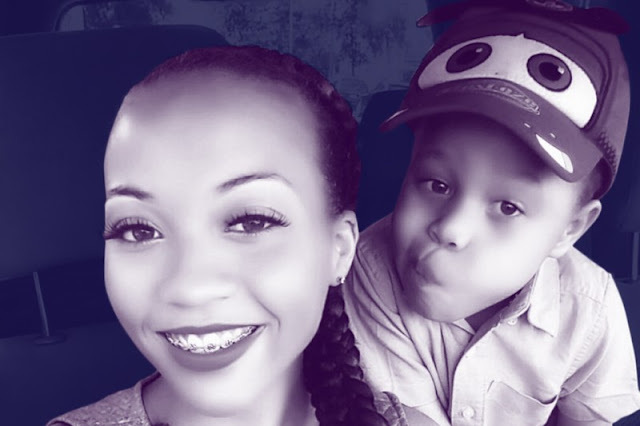 Maybe Korryn Gaines felt like she had nothing left to lose. Maybe she believed she was fighting for the cause. To me, fighting for the cause is not the issue here. How she went about it is the issue. In any type of confrontation, if you start off angry, it will escalate, eventually. In the case of the traffic stop, the police officer kept calm, he tried to de-escalate the situation ( although I did not miss the sarcastic remarks from some other cops...). However, I couldn't believe she put her son through all that. First telling him to resist and run from the police. Instructing him to never back down and to fight them, this is a toxic way to raise a child. What is the difference between that and a white parent teaching a white child to not respect a black lives matter activist for example. This is a five year old boy, he definitely didn't need to carry that burden, and all burdens that came after. This boy had to film his mother, getting arrested, he had to "stop crying" and his mother told him to never back down. He later had to witness the shooting of his mother. Listen, I do not stand for racist cops, I am against power hungry and violent cops. I do not stand for oppression and a police state. I also don't think every police officer is all of those things. I think a lot of people will have numerous opinions on what happened with Korryn Gaines, however, she cannot die in vain. so I am asking this question... What questions do we need to ask ourselves? Why are people revolting and feeling the need to stand up and fight? Why was there not a body camera that shows what happened in that apartment, why are people still getting killed? why is there no indictments when police officers kill black people? why in 2016 are we still asking these questions? Why does a 5 year old have to deal with these issues?????? Please don't turn a blind eye because you think the issue does not concern you. This concerns all of us humans. We all deserve the same rights, the same respect and the same equal and just treatment under the law. Conversation is key right now. We need to talk about this. We need to talk about things that matter and hopefully, we will go in history as a generation that sparked this big change. A generation that demanded REAL justice and equality for all. This is the Case of Korry Gaines According to Jenni. Thank you for carrying this torch, now pass it on!